Spice up your learning by making lapbooks! Lapbooking can be done by any learner-- from preschoolers to adults. With this educational method, you make mini-books covering details that you've studied. After making a variety of mini-books about a larger topic, all the books are put together in a large folder. The finished product is called a lapbook because it's large and covers your lap. 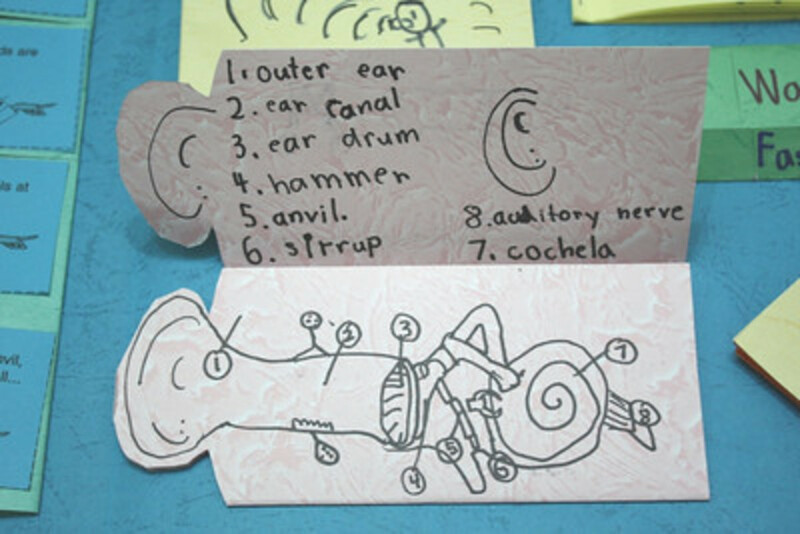 Lapbooking helps children learn what they study. Later the completed lapbook can serve as a review tool as your children refer to it over and over again. And if you have to keep a homeschool portfolio to document learning each year, lapbooks can be a very impressive addition. One of the best ways to understand lapbooks is to simply see them. 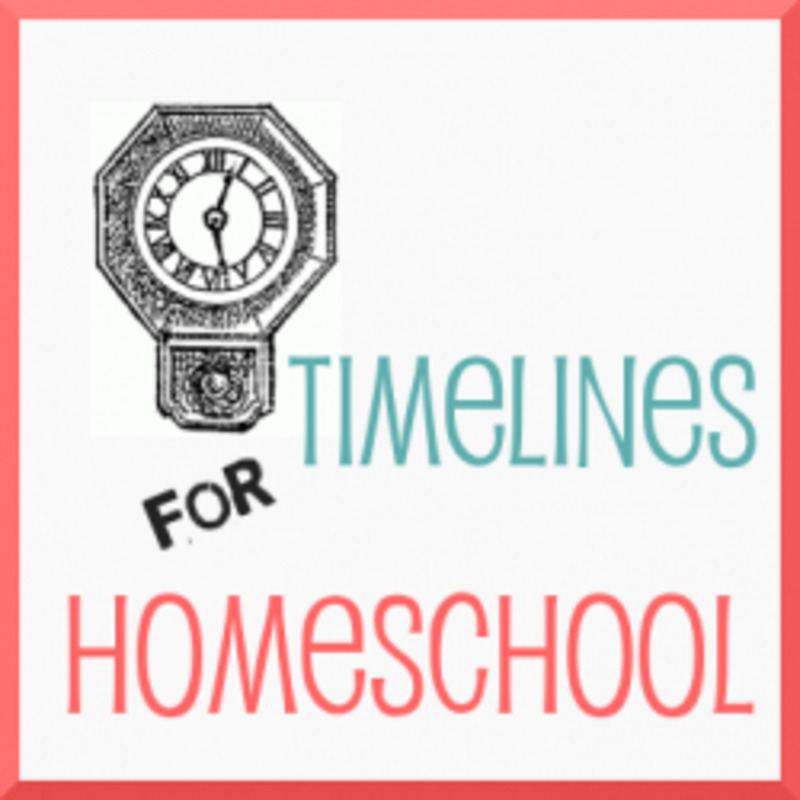 These links will take you to pictures of real homeschool families' lapbooks. You can get an idea of how varied and flexible lapbooking can be. Another Flickr collection of a wide variety of lapbook topics and from children of different ages. 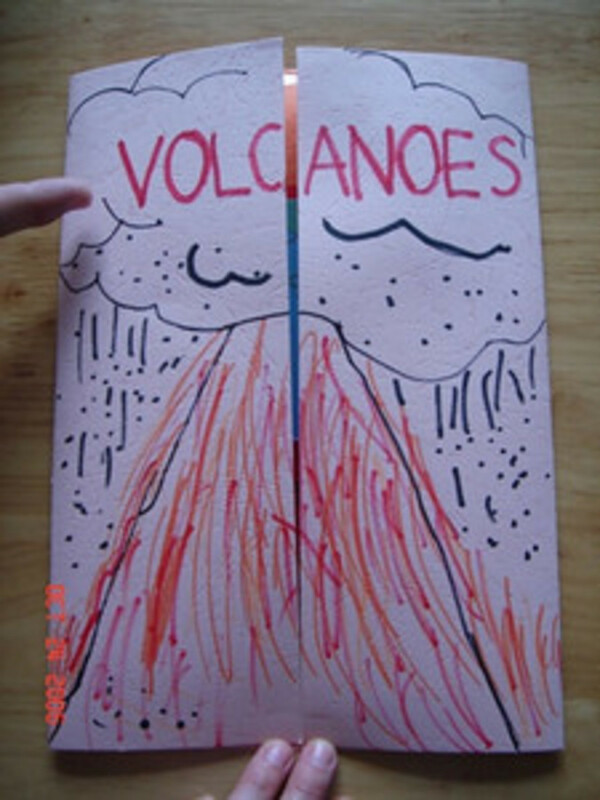 The lapbooks we have made in our own homeschool are all posted at Flickr. A very organized site with pictures of 12 different lapbooks. You will find lots of inspiration here! Which of these responses best describes your current use of lapbooking? We are "newbies." We have never done this before, but we are curious! We have made a few mini-books, but we've never gotten to the entire lapbook stage. We've made a FEW lapbooks. We are lapbooking pros and lapbooking is a major part of our homeschool experience! A lapbook is simply a collection of minibooks affixed on a base. As you are studying your chosen homeschool topic, whether it be Colonial America or Penguins, use the mini-books to reinforce or narrate what was studied. In this way you can make a mini-book every day or so. Once your unit study is over, you will have a nice collection of mini-books to mount into a lapbook. If your child is very young, you can write or type the text for him. Many children enjoy typing the text for mini-books on the computer. 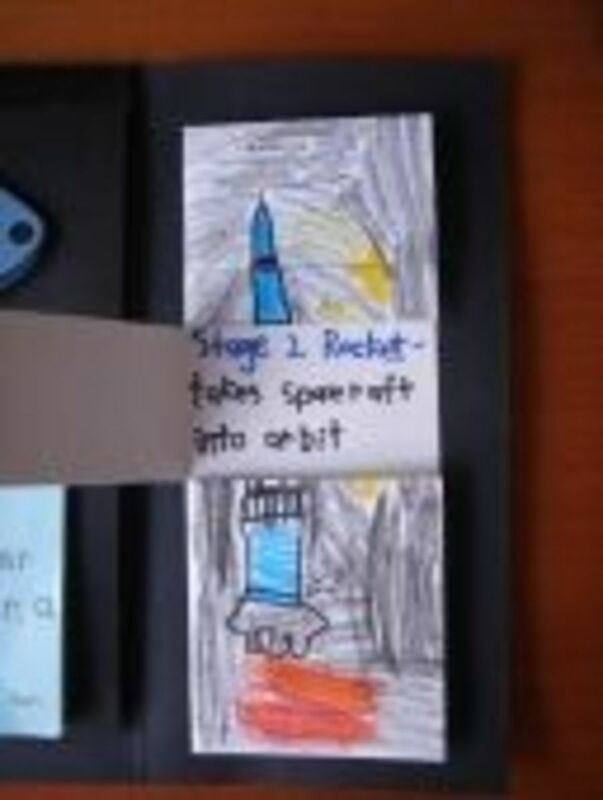 If your child is artistic, have him draw the graphics. 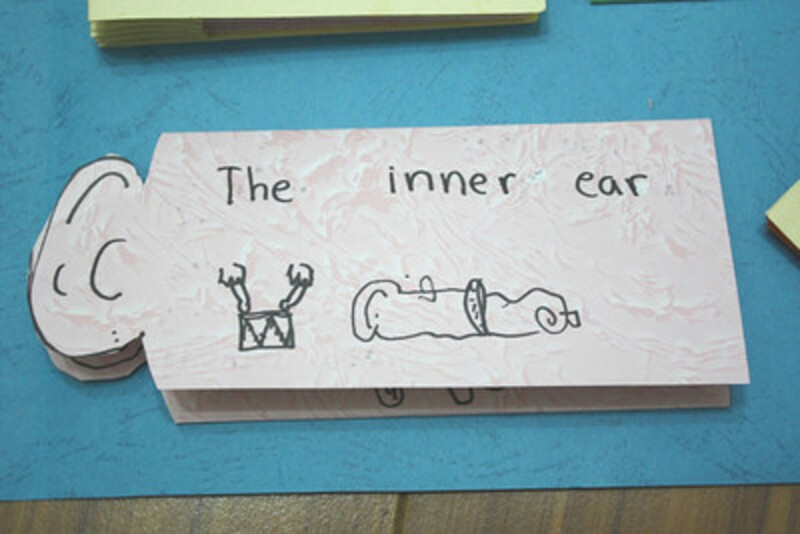 But if drawing gives your child fits, then find some nice clipart for him to paste into the mini-books. Search the Internet for images related to your topic, or use some of the great links below. What kind of mini-book should you use? In the beginning, start small. 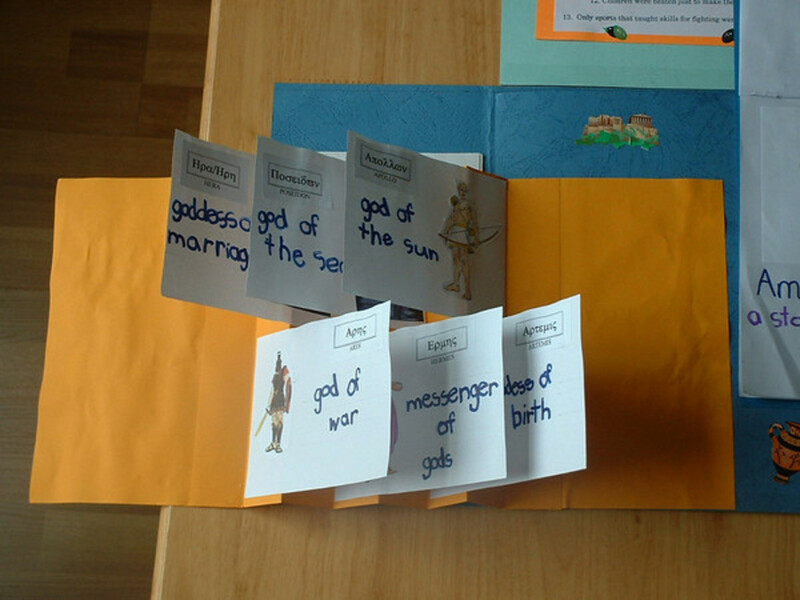 Make some basic books with easy folds, and add your information into them. As you gain experience, you can venture out into some of the more complicated mini-books. See the links below for online directions for many types of mini-books. For you highly visual learners, I've created a Minibook Gallery with photo examples of many styles of mini-books. Tackle a mini-book rather than an entire lapbook. So, you're interested in lapbooking but really have no idea where to start. What to do? Well, you could buy one of the kits from a retailer, or you can start small - one mini-book. Choose one of the "easiest mini-books" below and make a few blank books. Then give them to your children to add text and images. It can be something you've studied in science or history, or it could simply be a creative story. Once you and you children see how easy one mini-book is, the creating will go on and on. Once you have several mini-books about one topic, affix them into a file folder or large pieces of cardstock folded into a book shape. 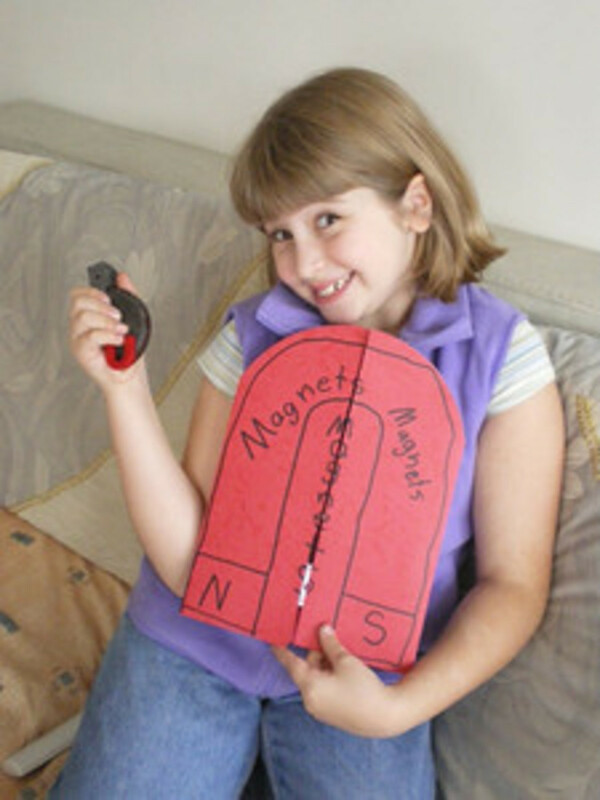 These links are simple directions with diagrams for easy to make mini-books. The easiest book there is! You will be amazed that you can make a book with just one sheet of paper and a pair of scissors! Experiment with different sizes of paper or different colors. Another easy book made with paper folded and stapled together. Easy but impressive. Try different colors of paper to make a rainbow book! This site calls this book an unfolding book. But most people call it an accordion book. It can open it up, down, to the left or to the right. You can decide! This book is especially good for timelines, steps in a process, or a series of events. There are a myriad of choices when it comes to mini-books. Add in colored paper in various sizes, and the options multiply! A short list of basic books with clear diagrams and instructions. A great place to start! Directions for projects such as Who Am I Book, Index Card Book, and Step Book. Another great place to start. This single PDF file shows seven different mini-books with clear directions and diagrams. 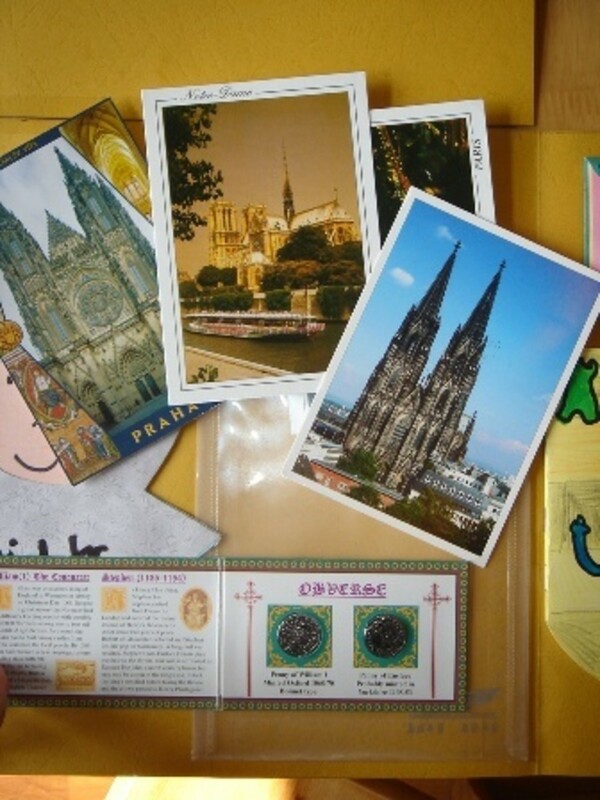 This site offers templates for envelopes and cards that could be used as mini-books. This mini-book is a bit tricky, but the effect of the finished product is worth the trouble. This pdf file offers clear instructions with diagrams. If you are still looking for more ideas, this is a very thorough list of links to even more mini-book directions. This is a PDF template for a three part fan book. Make as many pages as you need for your minibook. Then use a paper fastener to connect all the pages at the bottom. This book opens like a fan. Store it in a pocket in your lapbook. This is a PDF with directions for how to make a circle book. Another PDF file with directions for using construction paper and envelopes to make a book with pockets. Directions and templates (mostly in Power Point Format) for many mini-books are listed here. With these online programs, you enter your data and your printer spits out a beautifully professional mini-book! This is really neat! You can design a layered book (they call it a flipbook) of up to 10 pages online and print it! Using the computer may motivate a reluctant writer! This is an interactive tool for creating an eight-page book simply by folding and cutting. There is a front and back, so your book contents actually has six pages. You can choose the layout for each page. After you see the adorable books, you'll surely want to make some of your own. Keep reading for links to shape book templates. Once you get the hang of it, you can make your own! These mini-books are shaped as different things -- boats, apples, houses, trees. Choose a shape to go along with your lapbook's theme. A wonderful site for shapebooks! Patterns include barn, child, lion, mittens, shell, taxicab, treasure chest, and many more. These are PDF files and each shape has a pattern with lines and one without. Shape book patterns for house, pumpkin, kite, fish, cat, turtle, and many more. Shape book patterns for turkey, shamrock, egg, heart, top hat, and more. Free printable templates for simple shapes; make many copies and staple together for a mini-book. Categories of shape book templates include animals, holidays, plants, shapes, nature, Bible, and more. Graphics, Clip-art, and Maps - to decorate your lapbooks and mini-books. We discovered a great timesaver that also makes the finished product more attractive: print your maps and images onto sticker paper. Then you can simply cut it out and stick it into the mini-book! No messy glue or tape! This site has a wealth of black and white images of traditional topics -- knights, renaissance fashion, flowers, angels, Ancient Egypt, victorian era, etc. This is the greatest map site on the web! The choices are endless. If you need a map, you can find it here. Full color clip-art sorted by topic -- history, science, and more. This site has printables for almost any topic you might want to study! A selection of portraits of historical figures. The images in this collection are in the public domain. Nice gallery of clip art especially designed for educational uses. Use the search function at the top of the page to find a certain image. This is the clipart database of Florida's Educational Technology Clearinghouse. It has a nice assortment of black and white images from old books. Many historical and science related images! Cute, cartoon style clip art images free for educational uses. Topics include Ancient Civilizations, Science, Math, Holidays, Native Americans, and Animals. If you're looking for images of famous people or historical events, look at these online, free timeline figures. Some people use file folders, others use posterboard or cardstock. You can use any heavy paper folded into a shutterfold. To make a shutterfold, mark the (vertical) center of a sheet of paper lightly with pencil. Fold the outer edges into the center mark, creasing well. Voila! A shutterfold! What if you run out of room? Add extensions to your lapbook. Attach additional pieces of cardstock to the inside top or bottom so that they can fold outwards. Or attach two shutterfolds together. This site shows you clearly how to transform a file folder into the base of your lapbook. This example clearly shows how the file folder was opened and refolded so that the top edges now meet in the center. This is an eagle lapbook that shows the basic shutterfold shape. This is a double folder -- two shutterfolds attached together to make a super big lapbook. In these examples, bright orange, legal-size file folders were used. In case you need another view of the double folder, here is another page with clear directions for using posterboard instead of file folders. For a view of some completed projects, see this Flickr set by a homeschool family. 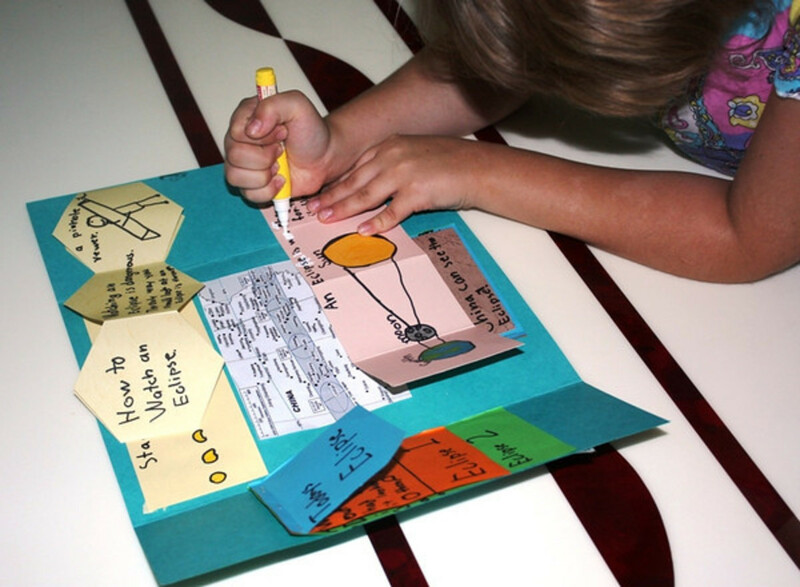 Projects are displayed in easy-to-make paper pockets, creating a comprehensive portfolio. Or you can affix them to a lapbook base. The book jackets shown here are only a sampling of the titles available in the Pockets series. This thorough curriculum review of History Pockets at The Curriculum Choice has lots of photos too. This title is a NEW release! Look for the History Pockets: The Revolutionary War as well. If you prefer an instant download, this book is also available at CurrClick in Ebook format. I have this title in the series. It not only has reproducible mini-books and other paper projects, it is also full of factual information that will save you time researching. Here is a review by another homeschooling mom. She also includes photos of her children's work. These email newsletters offer consistently good resources for lapbooking -- both complete lapbook kits and clipart. This group is for providing alphabetized links to lapbooks on a variety of topics. The links are divided into free lapbooks and retail lapbooks. 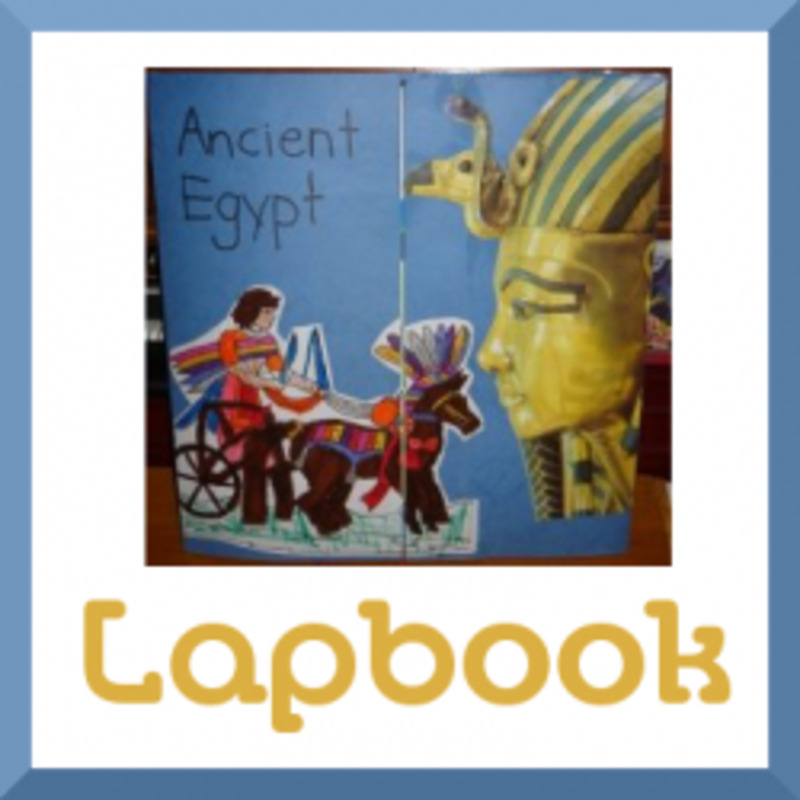 This is a group where the files shown on the Simply Lapbooks blog can be downloaded. Dover publishes great eductional books! If you sign up for this newsletter, each week, you'll get a link to free downloads of puzzles, activities, clipart, coloring pages -- all pages from their books. Download, save, or print. This is another Dover sampler, but it's not exclusively children's books. This Dover sampler focuses on clipart and graphics. This store sells all e-format resources. But every week, they offer a freebie! Every now and then it is a Hands of a Child complete lapbook kit! Other times it's notebooking resources that can be easily adapted for lapbooking. This is a book I own and have used many times to find graphics for science related lapbooking. It includes these areas: life science, physical science, space science, and environmental science. You can read another review of this book at The Heart of the Matter. Besides mini-books, there are many things you can put into a lapbook. Consider laminating them so that they can be used again and again. You can put them into a pocket or envelope affixed to the lapbook. Free black & white printable paper dolls from various historic periods -- American Revolution, Ancient Greece, Saints, Ancient Egypt, Wild West, and more. A very sophisticated but easy to use online program for designing graphs with your own data! You can even save what you create in various file formats to use in other applications! 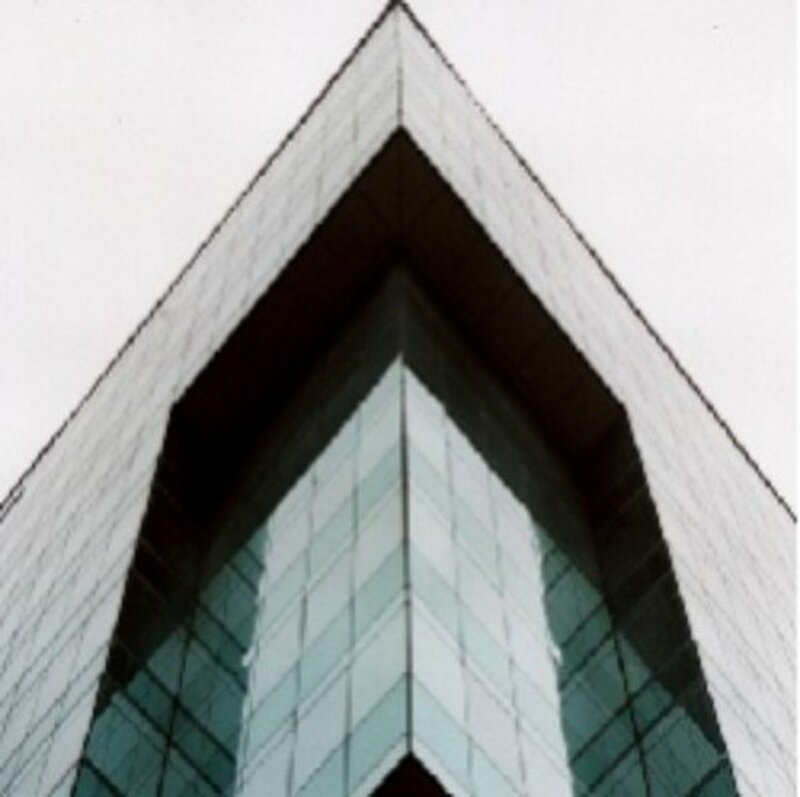 This is a GIF image that will help you make your own jigsaw puzzle to go in your lapbook. 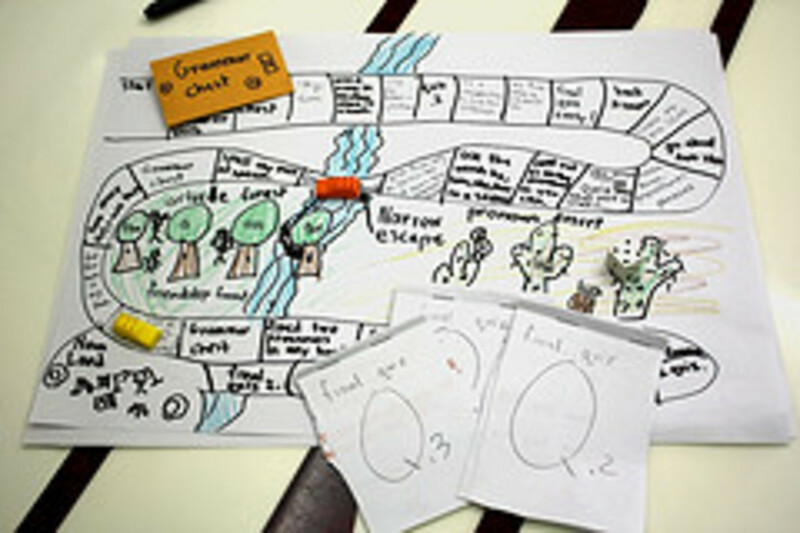 At this site you can custom design puzzles of all kinds related to your topic. The puzzles include the standbys of crossword puzzles and wordsearch puzzles, but there's more! Mazes, math square, number blocks, hidden message, and even more choices! This entire science curriculum revolves around reproducible paper crafts and mini-books. 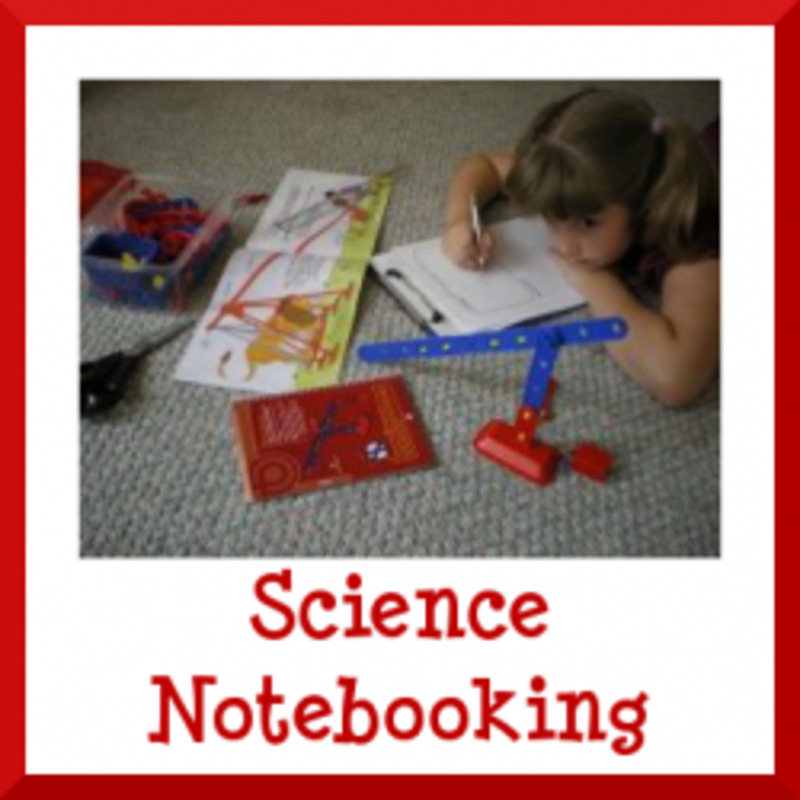 This is an ideal science curriculum for a lapbooking family! Or chose a title to supplement your existing science curriculum. For a thorough review, visit Eclectic Homeschool Online. It is suggested that you complete 2-3 lessons each week for an 8-12 week unit study. I used this title as a resource for a physics lapbook. Not only does it have reproducible minibooks, but it also has reproducible graphics and directions for making your own minibooks. books are available at Christian Book.com. Remember, lapbooking is only a tool for learning. You are not studying lapbooking; you are studying weather or archaeology, for example. If the lapbook does not aid in learning important information about what you are studying, it's just busy work. So make sure that each mini-book your child makes is really something you find important for her to learn. Of course some things you study and some of the things on your lapbook plan will not make their way into mini-books either because you ran out of time or you later decided it just didn't "work." That's okay! Even if your lapbook has just four or five mini-books, if there was learning happening, then it's a successful lapbook. Still have questions? 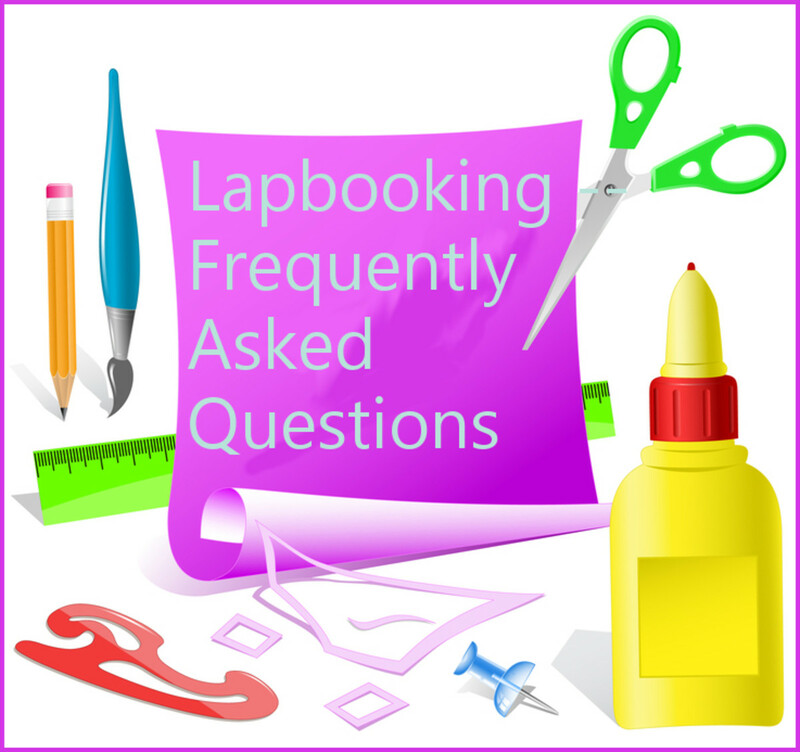 Visit the Lapbooking FAQ page. To read reviews of various lapbook kit retailers, visit this thread at Homeschool Share's Forum. Amanda Bennett's Download N Go Unit Studies are one-week studies for grades K-4. They include integrated lapbooking components and are ready to use immediately. Each unit is cross-curricular, including history, geography, and science. This site has e-book, CD-rom, or pre-printed lapbook kits for history, math, art, foreign language, even home economics, and MORE. Knowledge Box Central's Lapbook ebooks can also be purchased at CurrClick. Another retailer of dowloadable ebook lapbook kits. Live and Learn Press's Lapbook kits can also be purchased at CurrClick. Most of these lapbooks come with a study guide so you don't need to search out the answers yourself. You'll find all sorts of topics -- holidays, science, history, and more. For a review of these lapbook kits, visit Footprints in the Butter. Similar to History Pockets, but the projects are about books and stories -- fables, folktales, fairy tales, and Caldecott award winners. Evan-Moor's Literature Pockets can be purchased at CurrClick in ebook format. Five in a Row curriculum offers kits for some of the picture books in their curriculum. A new provider of lapbook kits. Current tiles are inventions, winter olympics, and marine biology. How do You Lapbook? - Do you buy kits or do you prefer DIY? Which response best fits your lapbooking style? We usually buy kits from Hands of a Child (HOC). We usually buy kits from Knowledge Box Press (KBP). 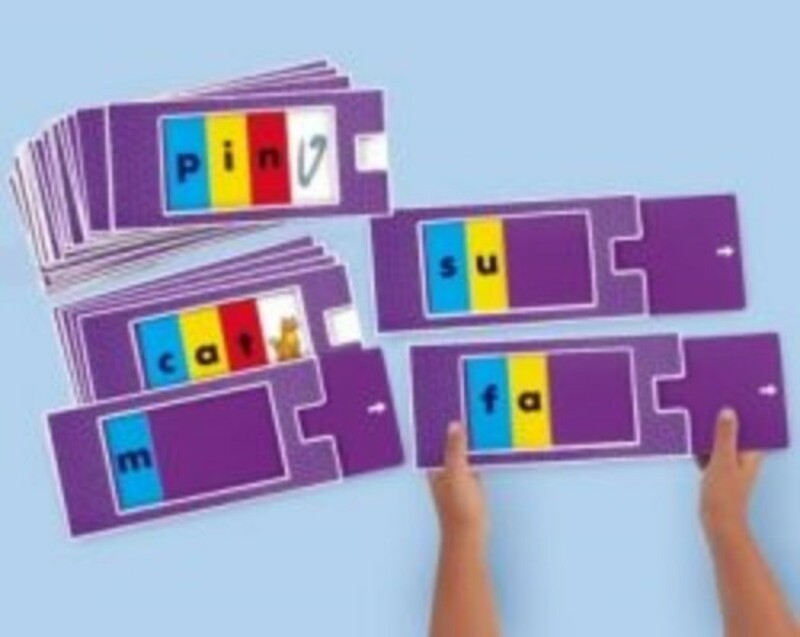 We usually buy kits from Live and Learn Press (L&LP). We buy kits from more than one retailer (including HOC, KBP, and L&LP). We usually make the lapbook without any purchased kit at all. We are a hodgepodge of styles -- we both buy kits and make our own from scratch! These two well respected publishers haveepublished several reproducible books that are easily adaptable to lapbooking projects. Click on the link to explore more similar options at Amazon. NEW! This book features reproducible foldables about events in American history. Look for the famous people version at Amazon. See the limited preview at Google books to see if this book is right for you. What to Do With the Lapbook? Find a place to store you lapbooks where they can be accessed again and again. We store our lapbooks on a shelf. And I've found that they get a lot of love! My daughter loves looking at them! And in that way, the learning goes on and on! She doesn't realize that she's reviewing facts that she's studied and already forgotten. Here is my 6th grade daughter, looking back at her 1st grade Ancient Greece lapbook when our page-a-day calendar featured a Greek urn. Other people store their lapbooks in notebooks or binders. See how Nadene manages to store them at Practical Pages. We have often used them as a reference when we are studying. "Hmm.. what was the order of the digestive system tract? 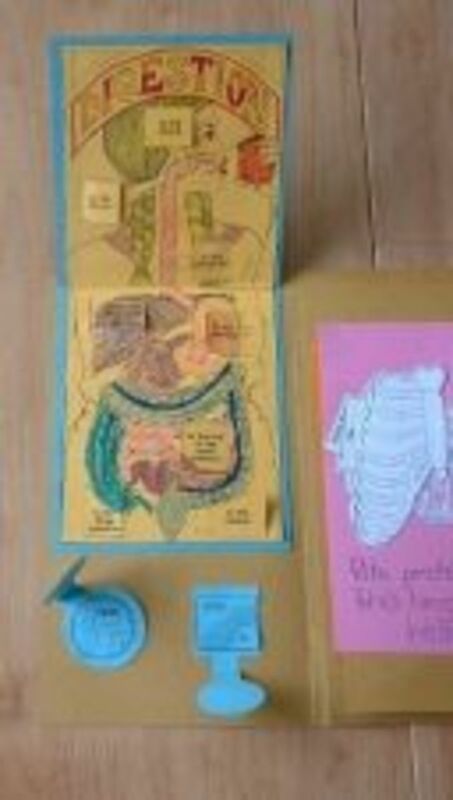 Hey, let's look in the Human Body Lapbook; we have a diagram of it!" My daughter also enjoys showing them to visitors. What a great way to document the learning going on in your homeschool! 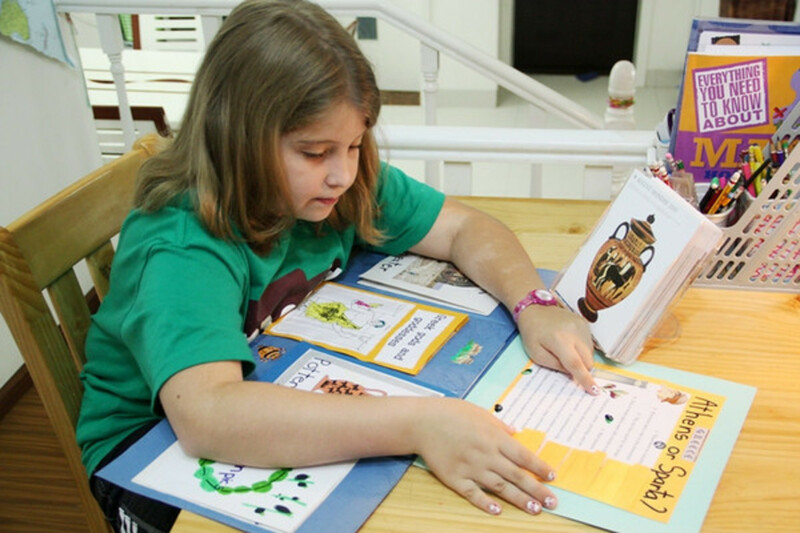 A lapbook is a project that your child can be proud to show off time and time again. What a great post. After homeschooling for 10 years, I wish I had found this when I first started. I will be sharing with my readers. Thanks so much! I hadn't heard of lapbooking before but will definitely be trying it with my toddler. Interesting topic and great information here. I wasn't familiar with the term, but I have made mini books before. Now I'm inspired to make more! Very creative! This is the first I've heard of lapbooking. What a great way to make learning fun. You've got some great resources as usual. I found this lens through a link on Guesthollow.com. We enjoy lapbooking and use many free resources. What a great idea! I am completely new to this concept and think it's wonderful. Makes me want to make some myself. Congrats on the Purple Star. These are very interesting. I should try them out with my kids. My sons love to draw. These are great! I used to be a teacher but hadn't heard of these. Even though, I have not heard of this before. It def sounds interesting. This would be a great way to help a child take a more active role in their education. Thank you so much for all these wonderful resources. You've made my school year!! God bless! My children and therefore my grandchildren are scattered all over the country. I am going to try to adapt the idea of the lapbooks to educational projects that I can do long distance with my grandchildren. We do Facetime on the Ipad so I could send them sections of a topic to work on with their parents and they could show me on Facetime and at the end assemble it into a lapbook. I was an educator for all my career and this idea really appeals to me. Great lens. This is a good idea for a new craft. I will have to give it a try. I'm a British mum just starting our home-ed.journey. people don't seem to.lapbook much here so your page has been a great help. Thanks. Jimmie, this is outstanding! So creative. What a wonderful way to get children involved with their lessons. To the best that I can recall, this is the first time I've heard of lapbooks and I think it is a terrific concept. This is really so interesting. I want to investigate this more for when I have children. Great lens. I'd never heard of lapbooks before. Thanks for this informative lens! great instructions which i'm taking to my school and running as a trial! These remind me of middle school projects, instead of a presentation on cardboard or foam, it's a miniature book. Being a craft lover, this lens is right up my alley. Thanks for educating me. I had never heard of lapbooking before today. Amazing source of information. Thanks for sharing your knowledge! Since I've been doing lapbooking in my homeschool, I noticed going to the DollarTree to buy folders and construction paper and BigLots for cardstock was becoming a bit much for me. I recently came across a site called CambridgeMonarch.org and they have these kits called Pocket Lapbooks Kits and it's so much more affordable -- for me anyway, my budget is a bit tight these days -- and it comes with everything I was buying individually at the stores I just named. Oh, and the folders are prefolded as well as in a variety of colors, too. So just thought I'd share. I am going to share this with my friends at facebook, I have several who are homeschool moms. Very inspirational lens. This is a more than fantastic idea. Such educational potential for kids, and, more importantly (to add to the latter) so much fun! I just had to come back and bless this lens. Thank you so much for introducing me to Lapbooking. I wish I had known about it when my children were homeschooling. What a wonderful way to organize and display the information you are learning together. Pretty cool. Would be fun for the kids. Very cool idea for kids to do! We love lapbooks! Good lens. I can really use some of these designs! Good lapbooks! @wolley811: The lensroll button is NO longer a feature on squidoo. It was removed along with other updates on May 26/2011. Hi, I love your lens! For some reason I didn't find the Lensroll icon, was that deliberate? I would love to add you to my lensroll. Thanks! 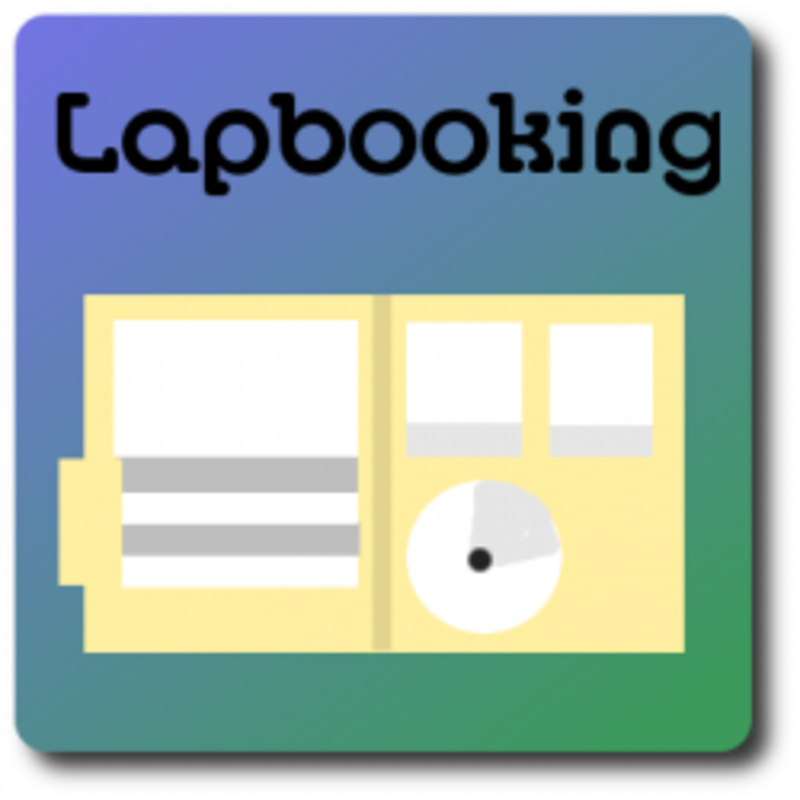 Great method of learning with Lapbooking. Thanks for sharing your knowledge. Keep sharing always. Please PRAY for JAPAN by visit on Squidoo!! More valuable information that has already started me on lapbooks. I did purchase three of the Evan-Moor pocket books since we will be going to Missouri and Tennessee this summer and plan to visit some battlefields. Not yet homeschooling but might as well get a head start. Some great instuction and ideas contained in this lens. I don't know if it is the same thing but I keep an art journal and use collage to make art books, something I very much enjoy as a change from 2-dimensional art. I had never heard of lapbooks. This is a great lens. I'll try making a lapbook now, guess it will be fun! I rated this lens a long time ago. I just wanted to come back and bless it. It's been quite a while since I visited this lens and could barely recognize it. You have been very busy adding hundreds of helpful links and suggestions. What a wonderful resource for homeschoolers. I wish I had known about lapbooks when my children were younger. Sounds great for when my grandkids are old enough! This is sooooo much information. I am going to have to really study this. Wonderful! 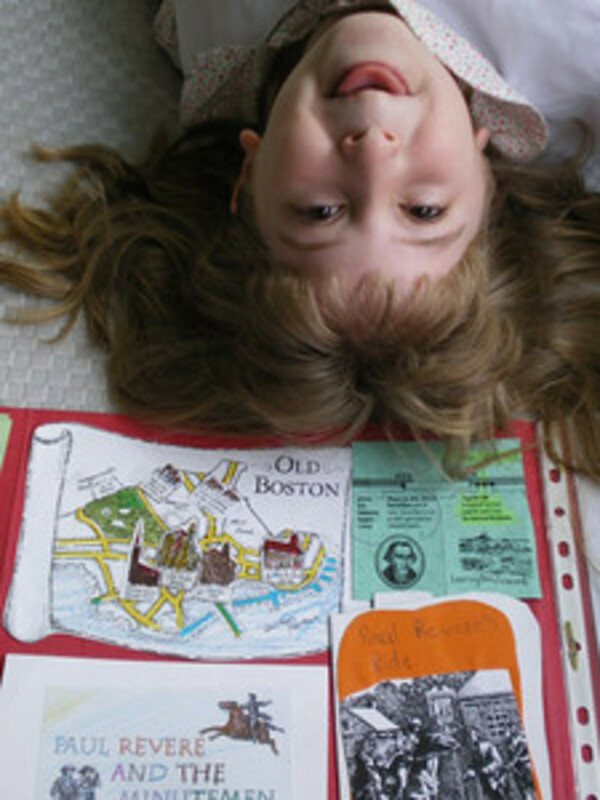 I had not come across lapbooks before reading about them on Squidoo from yourself and Lynn. I already love to scrapbook and as a child I used to put together books about things I liked, from Robin Hood to horses, so I guess intuitively I have made some without knowing! I will definitely be making these with my daughter when she is older. Favourited and looking forward to exploring more of your lenses! After first hearing of the concept of a Lapbook on Tobin's Lab website, your lens was the first place I actually saw how to do it. It looked so doable and fun. We have made many since discovering this 2 years ago. Thanks for all your hard work. Your lens was also my first introduction to Squidoo. I have finally taken the plunge and made 3 of my own lenses. Thanks again for your inspiration! What a great idea - and I love all the pictures! I just stumbled upon lapbooks a few weeks ago. I am using them for my sixth grade math and science students. Awesome! This is fun! Great lens! I will try lapbooking one of these days. Thanks for sharing. Btw, if you got the time, do visit my lens. Thanks again. I'm going to try this! I've never heard of lapbooking, but I can see the value. Thanks so much. WoW! So many ideas! Love this and gona show it to my husband! He'sll find use for it in his classroom! Blessed by an Angel! What an excellent resource! My children are older now so we tend to do more of the notebook style. But we loved doing lapbooking when they were younger. Wow! Wonderful ideas and great resources. I will definitely come back to check out all those resources. Great resource. Wish I'd read this when we first adopted our children. What a fantastic lens - there is so much useful information. I didn't have time to read everything so I'll be back. 5*s and I Favorite it. Cool site, thanks for putting so much encouraging stuff and resource and info links in one place. You've done a great job, t's all really helpful. This is interesting,I've never seen this type of thing before. It reminds me of what I do in my 'sketchbook'. As an artist I usually have a 'sketchbook' with me and put ideas, rough drawings,bits of fabric,pictures of things I like and notes etc. into it. It is used as a reminder when I get down to designing a piece of art. A good way for kids and adults to learn and remember a subject. Thank you SO much for creating this page! I am homeschooled, and starting to teach piano. My Mom heard about lapbooking, and made me interested. I was trying to plan a lapbook about the piano to make with my piano students, when I stumbled across your site. What a great help it's been! I think I can figure it out now! Love the shaped lap books! What a wonderful informative page.....Thank you for creating it :) Free Fun Stuff! Cool lens...I had never heard of lapbooking before. Now I have! Five Stars. Cool lens. I just found you from a blog that a friend of mine follows. Neat idea! What a great lens! I've come across the term lapbook before, but didn't quite "get it". Now that I do, I am definitely going to try my hand at it :o) 5* for a very informative lens! Neat lens. I can see you are a great teacher! Brilliant. I am always looking for new ideas and your lenses are an inspiration for our homeschool. Nce ideas, will keep an eye on this lens. wow its amazing...great creativity...your lens is excellent....the way you have explained the things is amazing....i loved it and gonna share your lens within my friends as they love such a kind of things......well i am fond of latest gadgets...you can have a look for it...i am sure as an artistic person you will love it. Great lens! Wow - so much on here, I need to mark some of my time off to just go through it all. Thanks for sharing! love this idea, will be using it next week with my homeschooling boys, what a fantastic idea for them to keep their records of what they have been doing throughout the year of home schooling Thanks 5 Stars and will be lens rolling it to my lens about Creativity with homeschooling. Lapbooking is so much fun. I have friends that love making scrapbooks that have turned some of their ideas into lapbooks. Creativity is a must! Pretty fascinating topic...and a comprehensive lens. I'm definitely going to be back...multiple times. These are the kinds of things my wife and I have been working on for our kid's school reports for years without really knowing what to call them. Thanks for the resources! What a wonderful idea! I wish I had known about lap-booking when my kids were little and when I home schooled them. That would have been something! How interesting - I had never heard of lapbooking before!! In going through your links I see that the Hands of a Child is offering discounts on their kits because of the new law about to take effect. Once again, I am adding to my favorites for future use! Superb information and just what I've been looking for to keep up with my daughter's constant quest for knowledge. Well done Jimmie.You are a real pro at this! I was recently introduced to lapbooking by a friend and we are currently working on our first round of lapbooks. I love it! The kids love it! We are having so much fun! Your website is excellent, and a resource that I am sure I will return to over and over again. Thanks for the inspiration, we found several ideas to incorporate into our current projects and many jumping off points for our next round! Great work and congratulations on your Giant Squid Award! Happy New Year! Congratulations on Best Crafty Lens. You certainly deserve it. Congratulations on your Giant Squid 2008 Award! Very well done! Congratulations Jimmie for winning the Best Crafty Lens in the 2008 Giant Squid Awards. Well deserved! Congratulations on winning the 2008 Best Crafty lens!